Dye-Na-Flow is a free-flowing textile paint made to simulate dye. These highly concentrated, translucent colors are incredibly versatile. 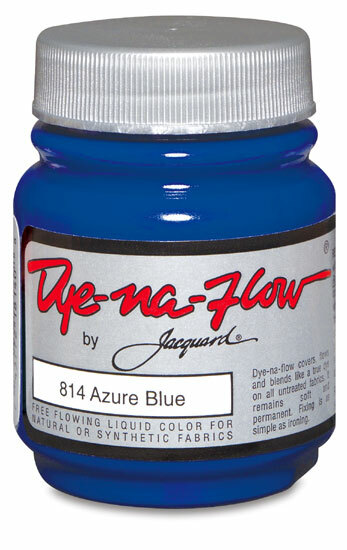 They are perfect for silk painting, airbrushing, tie-dying, simplified batik techniques, or with a brush or sponge.